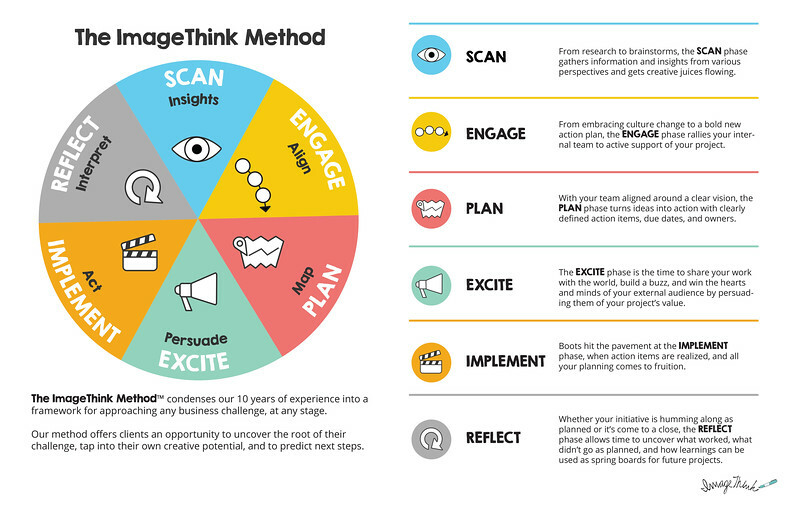 Get your event participants talking and capture their input. We create live murals from audience comments. Activate the virtual space by having ImageThink visualize tweets under the conference #hashtag. Over the course of three days, ImageThink captured responses from conference attendees around technology and education. The end result is a mural with centralized information collected from a wide span of attendees that illuminates and memorializes feedback. 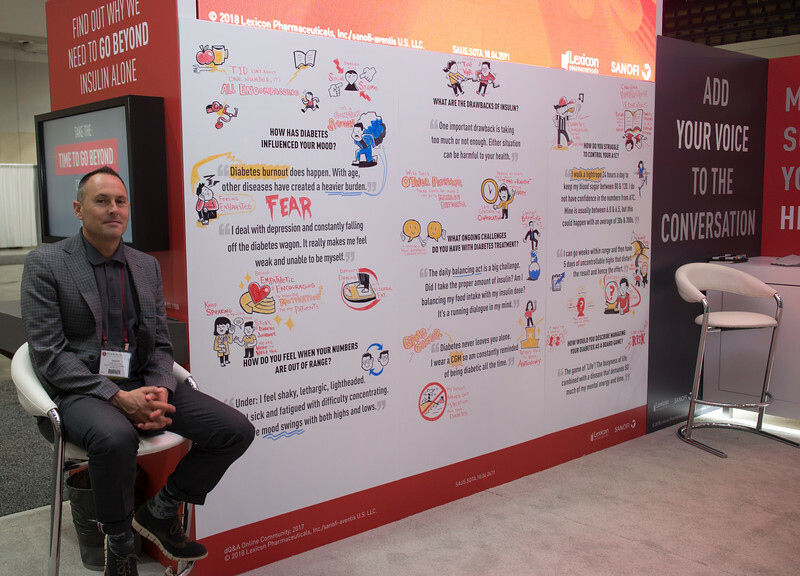 At the Annual AACE Scientific & Clinical Congress in Boston, our graphic recorder drove attendees to our client's space, ignited conversations between conference attendees and booth hosts, and captured valuable HCP insights--all through one social listening mural. The board was digitized for use in a subsequent online campaign. 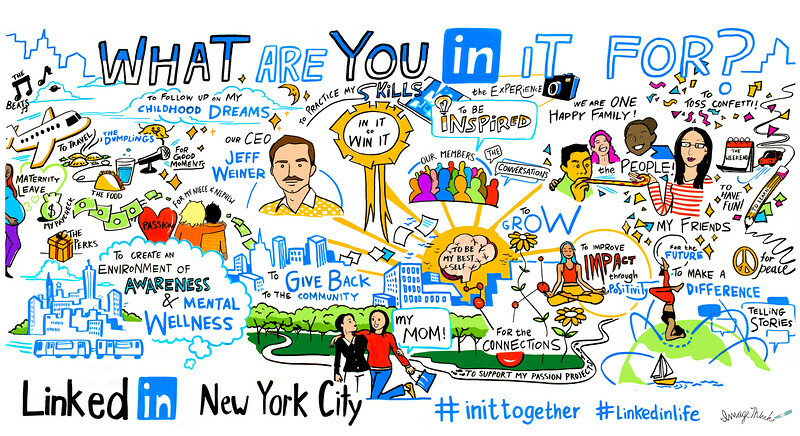 ImageThink captured excitement from LinkedIn employees surrounding their motivation to work for one of the most popular business networking platforms in the world. ImageThink graphic recorders engaged employees and helped visualize their passionate responses to highlight thriving company culture. LinkedIn displayed this mural in the entrance to their office located in the Empire State Building. 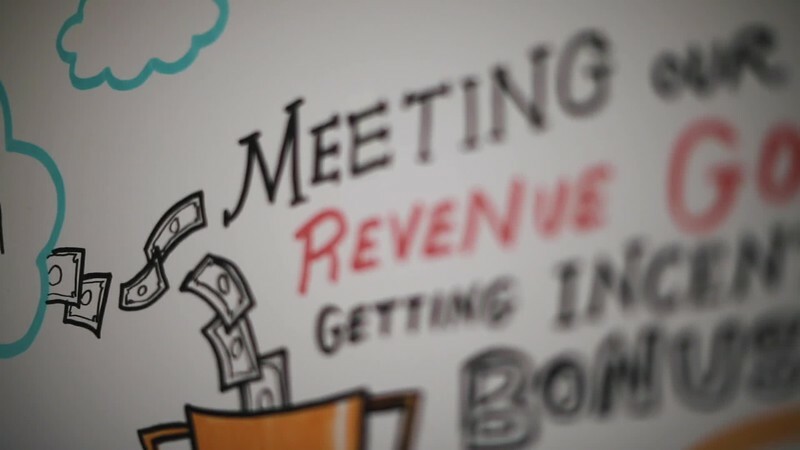 ImageThink captured a social listening mural for GE on a special blackboard chalk surface. Our social listening mural helped promote employee alignment, engagement, collaboration, and buy-in to the GE company. Most importantly we helped employees to feel valued and heard, which is indispensable at any company and helps foster commitment. 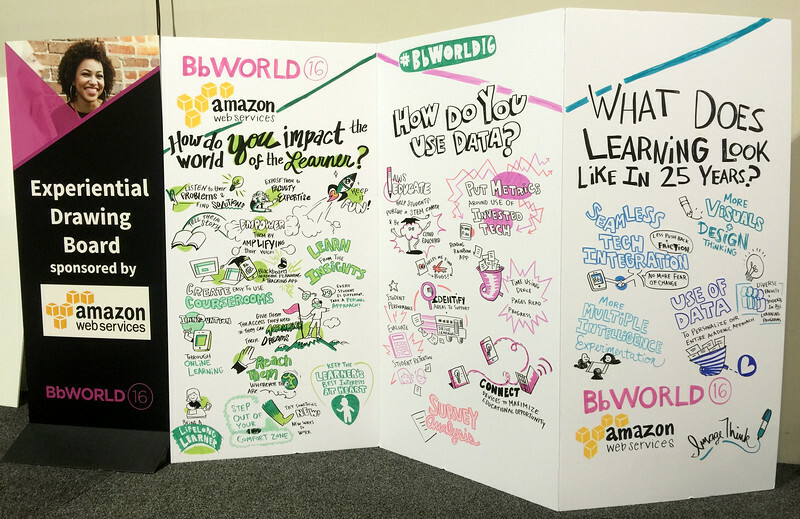 ImageThink helped to capture the voices of Educators and administrators in the Education Space around creating a better learning environment in public schools. 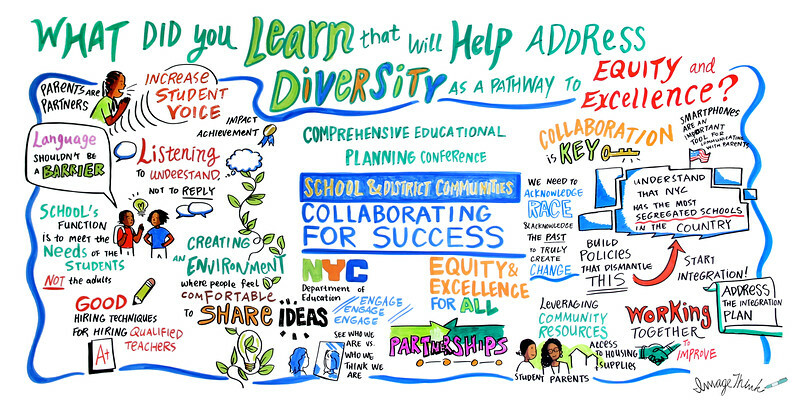 The social listening mural identifies gaps, strengths, and strategies around nurturing Diversity in the school space. HCP's and patients react to testimonials quoted on the board and ImageThink illustrated their responses around them creating an immersive and educational mural. Here, press from the conference speak to some key ideas around Diabetes disease management, a real testament to the power of visuals communicating ideas. 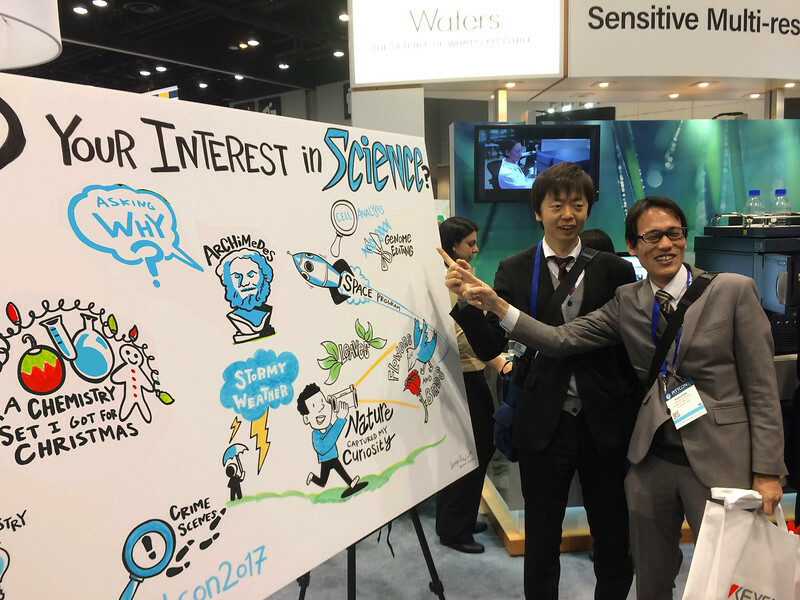 Waters Corp. invited ImageThink to create a Social Listening mural for their booth at the PittCon conference. 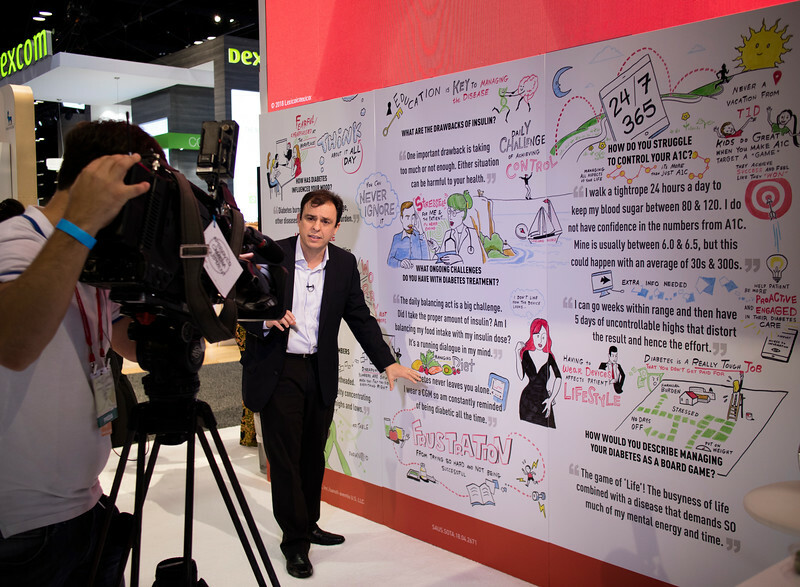 With ImageThink as their creative partner, Waters Corp. successfully created an immersive experience for attendees and brought traffic and excitement to the Waters Corp. booth. "My Favorite Thing About My Job is..."
Indeed, a large American worldwide employement-related search engine for job listings partnered with ImageThink to support their employee offsite. 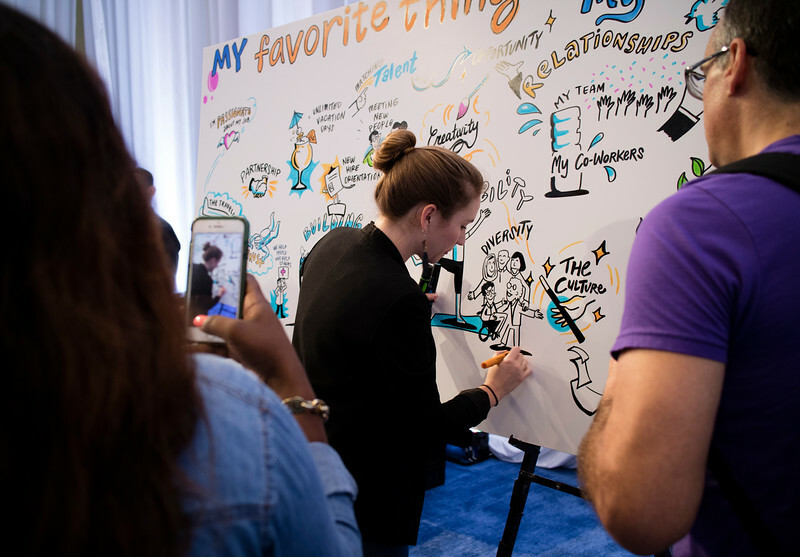 ImageThink's graphic recorder created an atmosphere of novel social activation for their employees by asking them to reflect on their careers and what motivates them to succeed everything. Seeing their ideas come to life created fostered a sense of appreciation from Indeed's employees and thus brought a renewed sense of commitment and fun to the workspace and their ideas about their company. This #twittermural was created over the course of 2.5 days. 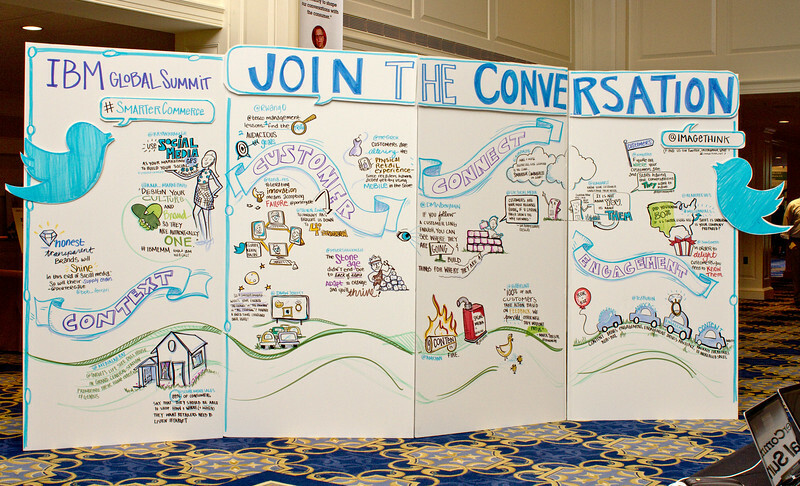 ImageThink visualized content curated from the Twitter stream at #smartercommerce. The illustrated images were then photographed with Instagram and tweeted back to the authors/influencers who retweeted the content. The Twitter murals not only promote social media activity and add live interactive engagement to the event, they keep conference content circulating and keep the conversations channels open on social media. ImageThink also animated some of the illustrations on Twitter's Vine account! 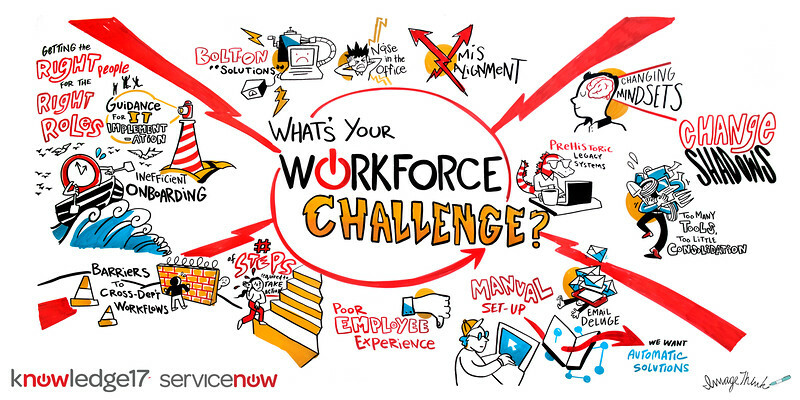 In order to gather insights around the technology needs of potential consumers ServiceNow partnered with ImageThink to visually capture attendee answers to the question "What's your Workforce Challenge?". Attendees were captivated as they watched their responses to the prompt illustrated in real time right before their eyes. 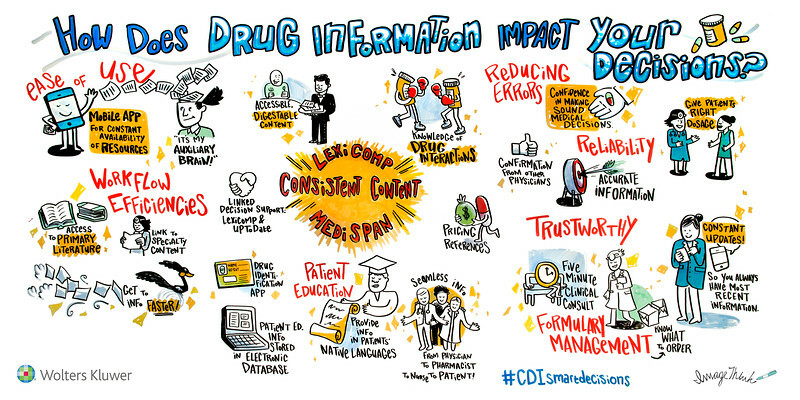 ImageThink captured some best practices in providing drug information to patients in order to ensure trust, smart decisions, error reduction, and reliability.